JBC Associates wishes to congratulate Michael Sensenig, PMP, on receiving his Project Management Professional Certification. Mike is a Transportation Construction Manager with JBC Associates who decided to pursue his PMP Certification when it became a family affair. We asked Mike “why” he decided to pursue the PMP certification and the value he feels it brings to his work. What made you want to pursue the PMP certification? MS: My wife, Valerie, works in Pharmaceutical Project Management and started working on her PMP Certification. She was asking me questions about CPM scheduling and costs, and I began to realize that the topics she was studying seemed to be very closely related to what is required in managing PennDOT projects. I then realized that Scott Schaeffer had his PMP and I spoke to him about it. He, along with John Zawaski, encouraged me to pursue a certification. Does it change your approach to your job on a daily basis? MS: The topics covered in the PMP Certification are not exclusive to construction and can be used across all disciplines. I think learning the science of Project Management can help you to understand how the different parts of a project are related and how to better view projects as a whole, from inception to completion. I also think that understanding Project Management is very beneficial to the Construction Inspection side of our industry as well. What benefit do you see it bringing to our clients? MS: The Project Management Framework, on which the PMP is based, helps you to see how projects are related and provides a framework for you to use from Project to Project, with a mindset of always improving. We have already begun to implement some of the processes from the PMP on the Project I am currently assigned. We have begun to track issues and lessons learned in order to provide knowledge to future inspectors on this project and to future PennDOT Projects as well. By following the Project Management Framework, we can continue to improve from Project to Project, and provide a well-rounded approach to Project Management to our Clients, both in Construction Management and Construction Inspection. JBC Associates, Inc. congratulates Christopher Carbutt, PE and David LaCrosse, PE, both civil engineers with the firm, who have recently passed their professional engineering exam and are now licensed professional engineers in Pennsylvania. 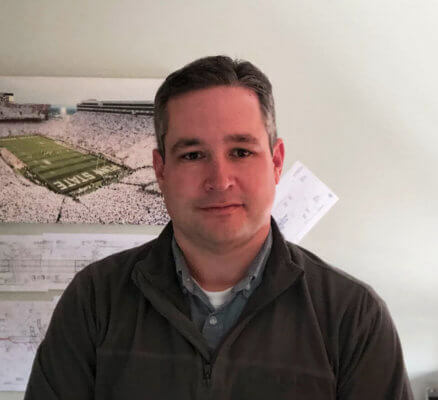 Chris Carbutt, with a Bachelor of Science degree in civil engineering from Pennsylvania State University, has over eight years of experience in materials management, environmental remediation, and transportation construction inspection of roadway and bridge projects. When he’s not serving as a Construction Manager on the SR 422 Schuylkill River Bridge Replacement project, Chris shares a business interest in the local craft beer movement at Stable 12 Brewery in Phoenixville, PA.
Dave LaCrosse, with a Bachelor of Science degree in civil engineering from Pennsylvania State University, has over nine years of construction and design-related experience with structures, construction management, materials testing and environmental engineering for transit, highway and tolling facilities, Intelligent Transportation Systems, and bridge structures. 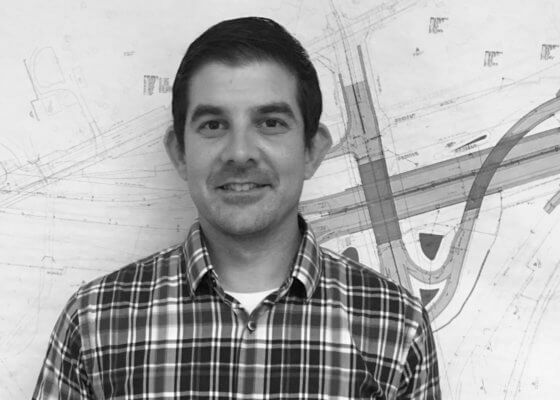 Dave has recently transitioned from his role performing construction field inspection and oversight to construction management and scheduling of transportation projects. JBC Associates, Inc. (JBC), one of the Commonwealth’s largest and most respected women-owned professional construction management firms, celebrates its 30th Anniversary – 30 years of supporting the key infrastructure that is propelling the Philadelphia region forward into the national and international spotlight. JBC provides project management, construction management including CPM scheduling, construction inspection, contract administration, and dispute resolution services to government, institutional, and private sector clients. The Project Management Professional certification (PMP) is often referred to as one of the most important industry-recognized certifications for Project Managers, it is also one of the most difficult certifications to achieve. Successful applicants must not only pass the exam, but also put in a significant amount of time working on projects directly. The PMP Certification is highly regarded across multiple industries, not just within the construction management field. JBC Associates congratulates John Zawaski, one of our project managers, on achieving his PMP Certification! We sat down with John to learn more about his PMP experience. Also in on the conversation is Scott Schaeffer, Vice President at JBC, who completed his PMP certification several years ago. Below they explain exam requirements in greater detail, offer words of wisdom for future applicants, and discuss the benefits of being PMP certified. JBC: How’s it feel to be PMP Certified? John Zawaski: I feel a sense of pride knowing that I have been able to achieve a professional certification that upholds a very high standard. JBC: Why did you decide to pursue the PMP? John Zawaski: I decided to pursue the PMP at the urging of Scott Schaeffer. I have never been someone who is content to stay in a single position within the vertical hierarchy of an organizational structure. Scott holds a PMP Certification and he recommended that achieving a PMP Certification would bolster my standing within the transportation construction community. JBC: What requirements did you have to meet to take the exam? 7,500 hours spent leading and directing projects. JBC: Would you encourage other JBC staff to pursue it? John Zawaski: I would absolutely encourage other JBC staff to pursue the PMP Certification. I learned a lot about the project management process through earning my PMP that is useful in my day to day activities. By the second time through studying the PMP Official Guide, I implemented several practices on the projects I manage that were taken straight out of the Guide. I would recommend reading and knowing the PMP Project Management Standards, even if you are not yet technically qualified to sit for the exam. JBC: How will our clients and projects benefit from you having gone through the PMP certification process? John Zawaski: There are many ways clients and projects benefit from project managers having a PMP Certification. Two specific examples I would like to mention are ethics and experience. A significant amount of the PMP testing requires the person sitting for the exam to answer situational questions. The PMP Certification emphasizes proper ethics, with trust and integrity at the core of ethics. In order to pass the exam you have to answer situational questions that display your knowledge and application of proper ethics. By having attained a PMP Certification the clients of JBC will know that the project manager leading their project has at least the minimal experience and education required for the certification process. By seeing the letters PMP following a project manager’s name, the clients can feel a sense of ease at knowing their project is in the hands of an ethical, experienced leader. JBC: Do you have any words of wisdom for someone planning on taking the exam? John Zawaski I would tell others to read and understand the most up to date version of the PMP Guide, and the Rita Mulcahy PMP Exam Prep Book. I recommend reading through each at least three times. Another necessity is to answer as many PMP exam simulation questions as you can before you sit for the exam. There are a number of websites that have practice tests available. The last bit of wisdom would be to know that passing the exam requires more than just memorizing technically correct answers. A lot of the questions on the exam will have 2 and sometimes 3 correct choices out of 4 options. The key to passing the test it to choose the most correct answer. The only way to know the most correct answer is to develop the mindset of a Project Management Professional. The correct mindset means that you are able to break down situational questions to understand what part of the project management process you are in before you choose your answer. On encouraging others to pursue the PMP Certification, Scott Schaeffer, shared the following. Scott Schaeffer: I would highly recommend pursuing it. I’m a strong believer in professional certifications because I think they show professional commitment, a specified level of knowledge, and a presumption of technical expertise; all of which gives our clients the confidence that our staff has the proven ability to manage a project to a successful completion…..which in the end, is the ultimate goal for all of us. There is huge value to this certification not just in the transportation industry that we work in, but also many industries such as Aerospace, Energy, Oil, Gas, Healthcare, IT and Telecom, Pharmaceutical and Utilities. All these industries have one thing in common; they all have projects that have similar phases of Initiation, Planning, Executing, Monitoring & Controlling, and Closing. Having the PMP Certification gives clients and customers the confidence that you have the experience, education and real life experience to guide any type of project to a successful completion. I just want to personally congratulate John on obtaining this certification. I know firsthand he was extremely committed to obtaining this, as he is with all things, and that he put the time and effort into the preparation. I’m very proud to see him reach his goal and have another PMP on the JBC team. It’s no secret the City of Philadelphia has a rich history. Think 1776, the signing of the Declaration of Independence, the Liberty Bell and Independence Hall, to name a few. But did you know that our history expands beyond our founding fathers? It appears in local architecture and area bridge structures. For example, let’s take a look at the 110 year old Walnut Lane Bridge, located in Northwest Philadelphia. The bridge, which runs over the Wissahickon Creek, connects the neighborhoods of Germantown and Roxborough and dates back to 1908. At one time it was the world’s longest concrete bridge. Another local bridge is the 116 year old Adams Avenue Bridge which carries Adams Avenue over Tacony Creek in the Tacony Creek Park section of Philadelphia. Thanks in part to the Pennsylvania Department of Transportation’s (PennDOT) commitment to restoring and preserving historic bridges, both bridges recently underwent multimillion dollar renovations in 2016. The six-span Walnut Lane Bridge built in 1906 received a new deck, sidewalk, sidewalk supports and balustrade railing. The concrete arch was repaired along with support abutments and piers to match the architectural line and texture of the preexisting structural abutments and piers. New lighting was also installed. Work also began on the structurally-deficient stone-arch Adams Avenue Bridge which was built in 1901. JBC provided the sole on-site Construction Inspection of the project. Repairs included strengthening the three-span structure by resetting and repointing stones and reconstructing portions of the stone masonry walls. Other repairs included removing fill inside the structure and replacing it with lightweight concrete; repairing bridge foundations; rebuilding existing wing walls which extend from the support abutments and widening the right turn lane onto Crescentville Road, which will improve traffic flow within the intersection. Scour protection was also added around the support abutments and piers. The $14.7 million Walnut Lane Bridge project was financed with 100 percent federal funds, while the Adams Avenue Bridge rehabilitation was 100 percent state funded. PennDOT received the 2017 Preservation Alliance Grand Jury Awards for the two projects at an awards ceremony held on June 7. Thanks to PennDOT’s bridge preservation efforts, we will be able to enjoy these historic structures for years, or shall we say centuries, to come. JBC Associates, Inc. was honored to receive the Construction Management Association of America (CMAA) Mid-Atlantic Chapter 2017 Project Achievement Award for LEED/ Sustainable project for the new Pennsylvania State Police Philadelphia Headquarters and Garage. JBC Associates was the Construction Manager on the project for the Pennsylvania Department of General Services. The new facility was designed by architects, Buell Kratzer Powell, and incorporates a variety of sustainable features including ground-sourced heat pumps and a ventilated curtain wall system, an advanced storm water management system and green roof resulting in zero storm water site impact. The awards ceremony was held at the Adventure Aquarium in Camden on June 6th and also recognized Dr. Ali A. Housmand, President of Rowan University, as the Chapter’s Person of the Year for his leadership during a period of unprecedented growth and opportunity at the University.